Did you think images can lose or improve your Google rankings? Actually, optimizing images has many other advantages. 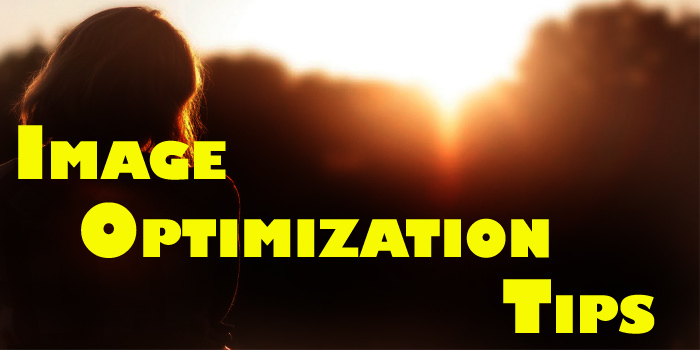 Within this article, we are going to give some tips on how to optimize blog images. Separate words using (-) mark. Don’t use too many words to the name. It’s enough 3-5 words. Giving too long file name will lose your rankings. I have seen some bloggers add too many images for a single blog post. Don’t include unnecessary images to your blog post. Adding too many images will increase page load time. Since today you need to give file name as mentioned above method. Try to reduce the images sizes as you can. It’s better to reduce file size than 70kb. But the problem is you need to put HD images to appear in social media post. However, if you concern more about SEO please include small size images. HD images will increase page load time and that will lose readers. Nobody likes to wait a long time to see any web page. It’s enough one image for most of the blog posts. Did you see alt tags in HTML document? This is a tag which you can use to introduce your image to search engines. Once your image not shown in your browser, definitely you will some text which mention the image. These texts are alt tags. Alt tags are great places to highlight target keywords. Include targeting keywords on it. If you have a WordPress website, you can put these alt tags easily. In HTML websites, you need to add them manually. There you don’t need to separate words using any mark. There are many image types. JPEG, PNG, GIF are the most popular image types. Normally JPEG and PNG are the best types for the websites. If you have an E-Commerce store, I recommend using the JPEG format. These type images are clearer than PNG format. You need to choose the best file type according to your requirement. Don’t use google images on your blog post. Google will detect it easily and you will face copyright problems. I recommend you to create these google images according to your requirement by using Photoshop or any other image editing software. You can change file format, image size, resolution and other options with this software. In the above blog post, we have mentioned how to find copyright free images. It's better if you can produce own images. Canava is a great online image optimization tool where you can all editing without any special knowledge. · Share your images in photo sharing sites like Pinterest, Instagram..etc. Giving correct image names will drive niche targeted traffic via google image searches. Uploading or sharing your images in Pinterest will drive additional traffic to your website. Image optimization is important for rank high on google. Therefore, you need to allocate time for image optimization.